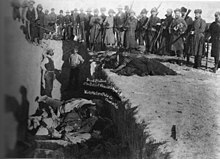 ^ Plains Humanities: Wounded Knee Massacre. [9 December 2014]. ^ Josephy, Jr., Alvin M., Trudy Thomas, and Jeanne Eder. Wounded Knee: Lest We Forget. Billings, Montana: Buffalo Bill Historical Center, 1990. ^ Liggett, Lorie. Wounded Knee Massacre - An Introduction. Bowling Green State University. 1998 [2009-09-27]. （原始内容存档于2007-02-26）.